Murchison Falls National Park is Uganda’s vast park and probably the most beautiful because of the mighty roaring Murchison falls on River Nile. 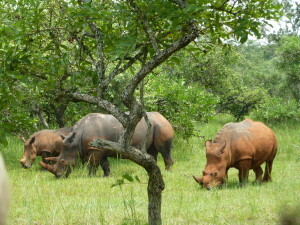 The must do activities in the park include game drives, chimpanzee tracking, sport fishing, boat rides to the delta and to the bottom of the falls, and visit to the top of the falls. A hike to the top of the falls using the famed Baker historical trail is the newest and exciting activity to do in the park, the trail offers excellent viewing points for the Murchison and Uhuru (Freedom) falls. The Bakers are respected in South Sudan and Uganda for their 1860’s and 1870’s expeditions. Sir Samuel baker is particularly remembered for named Lake Albert and Murchison Falls in 1864 making it 150 years since the great expedition. 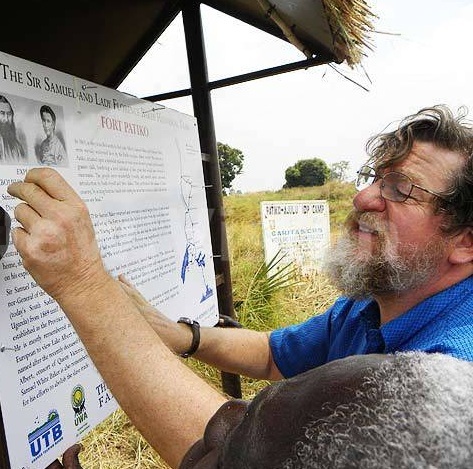 Sir Samuel Baker’s descendants David and Christopher Baker came to Uganda early this year to trace the footsteps of their ancestors and commemorate them for the great impact they had. They established the Bakers’ Trail which follows the shoreline of Lake Albert northwards to the Victoria Nile and the mighty Murchison Falls and up the river to the Karuma Falls still on River Nile. 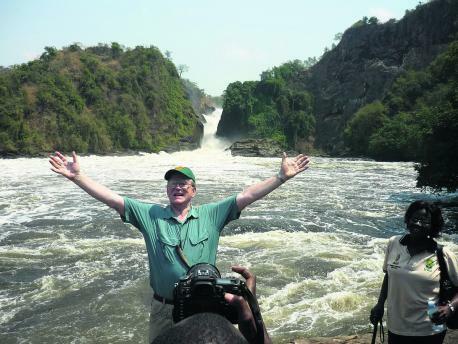 When having a Uganda Safari to Murchison Falls National park, insist on adding to your itinerary a hike to the top of the falls via Baker’s trail to the Bakers view rock – a point where he stopped to name the falls, you will never get a chance to see this great explorer but you can walk in his footsteps. On the right is a trail with well marked stairs and rail where visitors can hike to the top of the falls right at the bottom of the falls, interesting!. The distance covered to the top of the falls is 1.5km. Once atop, you get the chance to see how the falls are formed as water squeezes its through a small gorge and burst out as so powerful falls forming a spectacular rainbow and foam with steam that Sir Samuel Baker had named the Murchison falls in honor of the then president of the Royal Geographical Society. From the top of the falls visitors are picked by their guides in a vehicle get back trough the southern bank access route. David and Christopher the descendants of Sir. 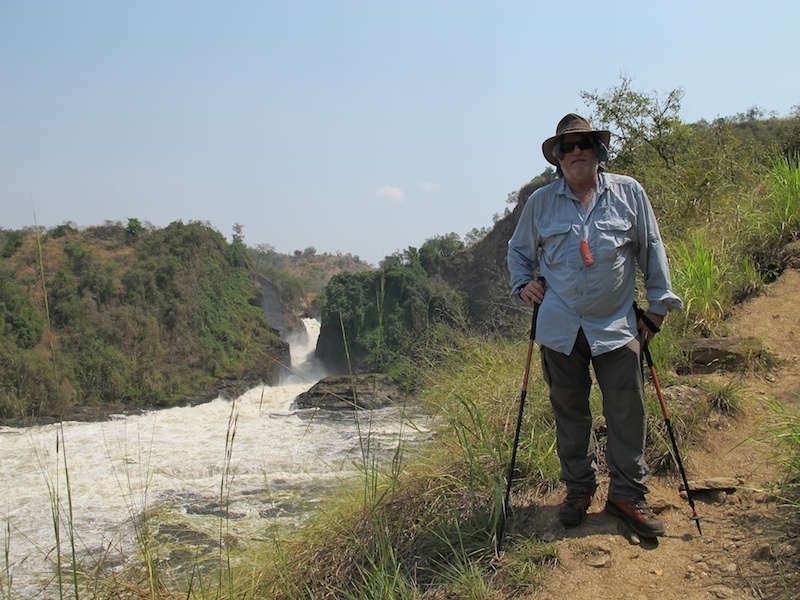 Samuel Baker also spiced the top of Murchison falls trail by installing a post with detailed expedition that brought the spectacular Murchison falls and Lake Albert on the world’s map. 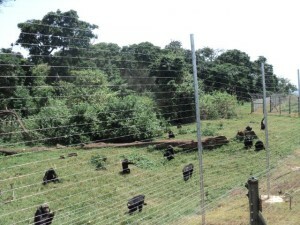 This 150th anniversary of the discovery of the Bakers has been good news to Uganda, it has added value to Murchison Falls National Park and marked it to the world as the leading and historical destination. Atop the top of Murchison falls is a mark detailing the expedition that led to the discovery of the spectacular falls and Lake Albert as Samuel Baker searched for the source of the River Nile. 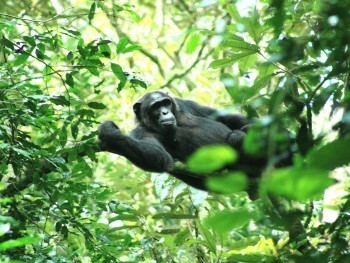 This entry was posted in Africa Safaris Blog, Tourism News In Uganda by Gorillas & East Africa Safaris. Bookmark the permalink.